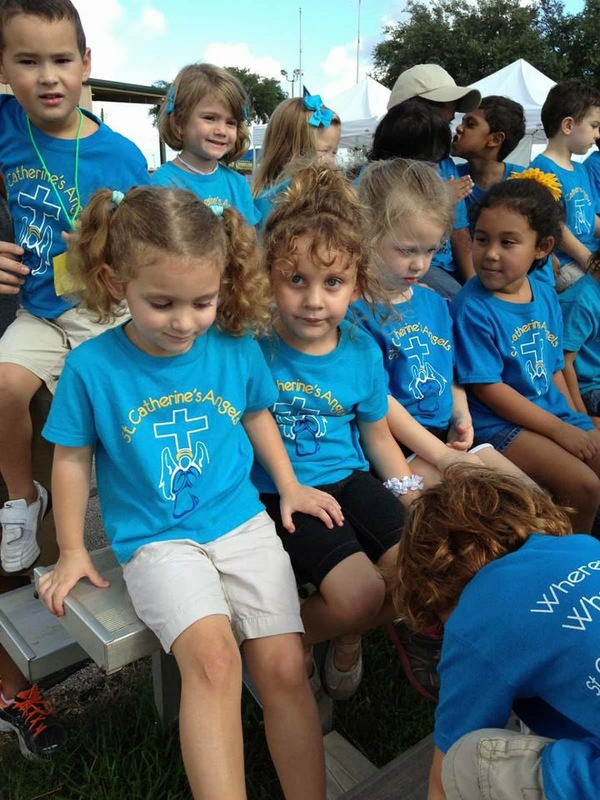 Friday, October 4th, Addy & Alex both had field trips to the Ft. Bend County Fair & Rodeo. Since they were on the same day, Nick took the day off from work so that he could stay with Alex & I could go with Addy. But here are the 2 pictures that I took & 2 that another parent posted on his class webpage that I stole. OMG her field trip was the cutest thing! and a bandana & a stick horse. Then they paired them up with a high school volunteer & let them participate in rodeo activities. They started with a parade & opening ceremonies. Next she practiced her cattle roping skills. who gave her a red nose. And then she got to ride a horse. She did a little fake bull riding. And then it was time to end the rodeo with a group picture & a trophy for each kid! and watched the clowns & stunt horse rider performance with us while we ate lunch. Addy had to ride the bus back to school, so we told her goodbye & Alex told her he would keep her hat, bandana & stick horse safe until she got home. What a great brother, lol!